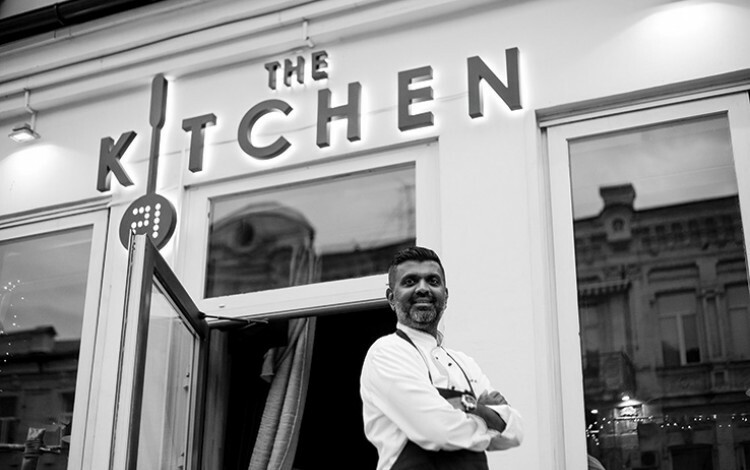 When hotelier Irantha Duwage first arrived in Ukraine on the eve of the country’s Euro 2012 international debut, the Ukrainian hospitality industry was still in many ways struggling to make the transition away from Soviet service standards towards twenty-first century expectations. Fast forward six years and the transformation is significant if not quite complete. Although still beyond the boundaries of the European mainstream, Ukraine is now emerging as an exciting and attractive tourism destination. Meanwhile, a dramatic upgrade in service culture accompanied by a newfound sense of swagger have seen Kyiv christened in many quarters as “The New Berlin”. The challenge now is translating Ukraine’s abundant potential into a tourism industry worthy of Europe’s largest country. Duwage’s optimistic outlook is not solely in response to the considerable positive vibes generated by the recent UEFA Champions League Final. He sees indications of encouraging market trends in his own role as Chief Operating Officer of DBI Hotel Management Group, which is experiencing strong demand for their services in Ukraine. DBI currently manages the Ramada Encore Hotel, which Kyiv’s largest international hotel in terms of number of beds, as well as Number 21 Hotel in the Ukrainian capital’s riverside Podil district. Meanwhile, it has three new projects currently under development in Kyiv, Odesa and Lviv, all of which will be part of the “Moi” brand, with plans envisaging around 300 beds in each hotel. Duwage says DBI has seen a marked rise in inquiries for new projects over the past year, but he prefers to adopt a selective approach. The hotelier is presently only interested in projects that offer a six-year return on investment and says he pays particular attention to how well any proposed hotel idea fits into the specifics of the fast-evolving Ukrainian market. This anecdotal evidence of rising investor interest in the Ukrainian hospitality sector is a further indication of an industry that is slowly but surely finding its feet. However, concrete appraisals of the Ukrainian tourism industry’s health are generally somewhat harder to come by. Ukraine’s official state statistics on tourism currently point to rising numbers of visitors, but they do not provide a particularly helpful picture. Instead, the practice of including all international border traffic means millions of Moldovans and Belarusians top the list, although it is highly unlikely that these visitors are actually tourists in the traditional sense. Nevertheless, there are plenty of other reasons to believe that the Ukrainian tourism sector is finally making progress. Hotel occupancy rates are on the rise this year, with Kyiv hotels already comfortably above 50% occupancy ahead of the summer tourism high season. Airport passenger traffic continues to grow at impressive rates across the country, with Kyiv’s Boryspil International Airport recently named as Europe’s third biggest gainer over the past year. These growing passenger numbers are in step with the arrival of new airlines and the return of some who stopped Kyiv flights during the peak crisis years of 2014-15. Qatar Airways was one of the most eye-catching additions of the past year, launching a Kyiv-Doha service in August 2017 before announcing a doubling of flights within a matter of weeks on order to cope with excess demand. Increasing numbers of tourists are also very much evident throughout the downtown area of the Ukrainian capital, where groups of foreign visitors are now the rule rather than the exception. Duwage hopes this is just the beginning. He speaks with obvious animation about the “revolution” taking place in Ukraine’s service sector and says Kyiv alone now has fifteen or twenty restaurants that can compete with anything most major European cities have to offer. “We’ve certainly come a long way from the old days where you used to feel that you were disturbing the service staff,” he jokes. Like many industry observers, Duwage already has one eye on the autumn arrival of Ryanair flights. The budget carrier will begin low-cost services linking Kyiv to ten EU destinations, with most seeing this as a watershed moment for the Ukrainian capital’s tourism sector. Since the currency devaluations of 2014-15, Kyiv has been widely acknowledged as one Europe’s cheapest capital cities, but relatively expensive flights have served to dampen the positive impression made by this otherwise persuasive selling point. With more low-cost flights connecting Kyiv to destinations across Europe, a rise in visitor numbers is almost inevitable. In addition to the arrival of international budget airlines like Ryanair, Duwage also identifies the need for better domestic connections that would allow more Ukrainians to fly from regional capitals like Kharkiv or Dnipro to Kyiv for the weekend without spending hundreds of dollars on tickets.